1. Why is alopecia areata caused? Who will get alopecia areata? This is basically due genetic disorder but you are mostly likely to get this disease if you have someone suffering from it in your family. Is this a serious disease? No, Many type of cure is available for alopecia. People suffering from these diseases are healthy and stable the only problem they have is unattractive personality. How much time will it take, does it need multiple injections?Can my hair grow by its own? Certainly your hair can grow back. It highly depends upon your immunity. Even if it does not grow by its own, certain treatment can help it to grow back. There are numerous solutions to alopecia disease. 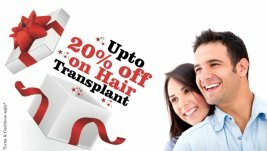 This may include corticosteroids, minoxidil, anthralin, topical sensitizers, photochemotherapy and alternative therapies like hair transplant and scalp treatments.